Don't you have a beat left in your heart? Don't you have a brain left in your muscle? Won't you miss us demons when you go? Don't you think you'll wonder where we've gone? these are the things you'll miss. it's got to hurt to say good-bye. every way to insinuate yourself into someone's lame-brained plan. You'll miss us when you go. It's boring to be dead. You'll still wish you could put a pistol to your head. © Bruce Cockburn and Celia Shacklett, 2008. Editor's note: This song was a collaboration with Celia Shacklett. Bruce co-wrote, sings and plays guitar. Released January, 2009, this ten track CD contains a song called Things You'll Miss, co-written by Bruce. He plays guitar and contributes vocals to that track as well as to the track, Armadillo. 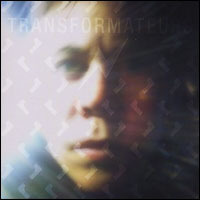 The cd, Transformateurs. More about Celia at her website.